The Blot Says...: WWE Pop! 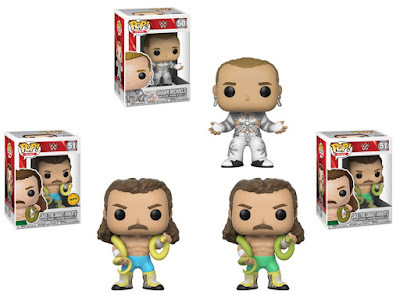 Vinyl Figures Series 9 by Funko with Jake the Snake, HBK, Sting & More! WWE Pop! 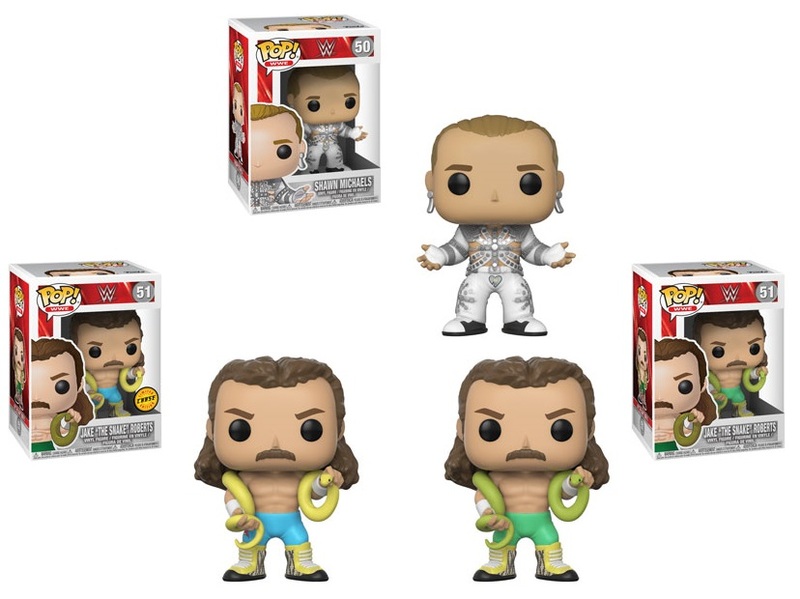 Vinyl Figures Series 9 by Funko with Jake the Snake, HBK, Sting & More! 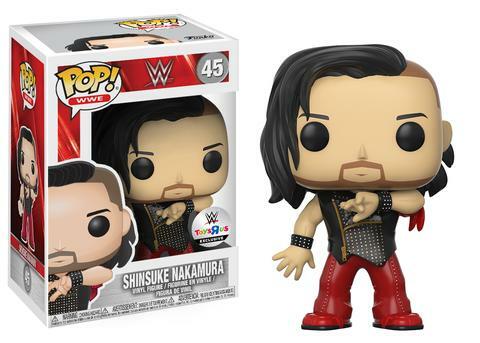 Funko has announced its ninth wave of WWE Pop! 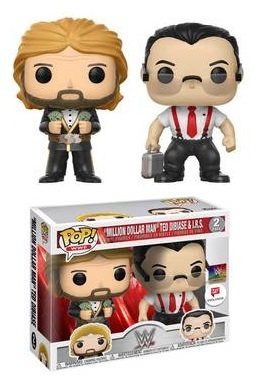 vinyl figures, which includes a pair of WWE Hall of Fame members, “The Heartbreak Kid” Shawn Michaels and Jake “the Snake” Roberts! Jake the Snake even includes a 1 in 6 chase variant. Funko is also releasing a couple of retailer exclusives, like this awesome Toys R Us exclusive Pop! of current WWE Superstar, Shinsuke Nakamura! There are also two retailer exclusive WWE Pop! 2 Packs hitting store shelves as we speak! Check out the Walgreens exclusive “Million Dollar Man” Ted Dibiase and I.R.S WWE Pop! 2 Pack and the epic FYE exclusive Sting and Lex Luger WWE Pop! 2 Pack based on the duo’s iconic partnership in WCW. 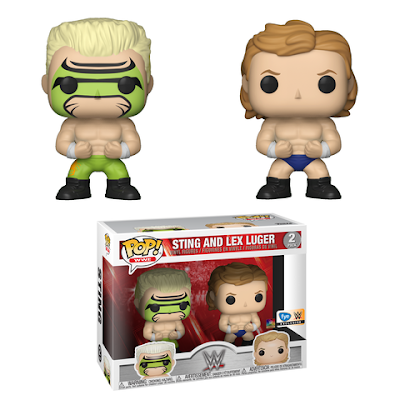 This is also Lex Luger’s first ever Pop! release.